(L-R): are John Apple, President, CEO and founder of Westchester Tractor; Matt Apple, Vice President of Parts and Service, and Andrew Prusinowski, Vice President of Administration and Technology. Westchester Tractor was founded by John Apple in 1976 at its original location in Goldens Bridge, N.Y., as a Ford Tractor dealer. In the early years, the company concentrated on Ford tractor loader backhoe and industrial tractor sales. During the 1980s the company expanded and offered other makes of construction and grounds maintenance equipment which includes Kobelco, Hitachi, New Holland, Kubota, Brush Bandit and Avant. In 2007, Westchester Tractor moved from Goldens Bridge, N.Y., to its state of the art facility in Brewster, N.Y. The company's product offerings and its commitment to service their customers has continued to grow. Throughout its 43-year history, Apple has served as president and CEO of the company, which has grown to a significant size with a large number of employees and an even larger number of customers that depend upon the company for their livelihood. With this in mind, Apple has put a succession plan in place as he prepares for retirement. "After taking a long hard look at our operation in the best interest of all parties involved, I approached two key individuals and offered to put a plan in place, giving them the opportunity to gradually acquire ownership of Westchester Tractor," Apple said. John (Matt) Apple III, John's son, and Andrew Prusinowski are now in the process of assuming ownership over the course of the next several years. Matt Apple (Vice President of Parts & Service) joined his father's business part-time in 1992 and full-time in 2006. Throughout the years, Matt has developed a strong working knowledge of the inner workings of Westchester Tractor and his passion lies in the parts, service and product support side of the company. As John's son, Matt also has a strong personal and vested interest in seeing the company that his father founded flourish. Having spent most of his time at Westchester Tractor working behind the scenes, he is particularly in tune with interaction with his fellow employees. "I am all about employee satisfaction. When employees are satisfied, the customer gets satisfied, and when the customer is satisfied, our dealership is profitable." Prusinowski joined Westchester Tractor in 2005 and also has been offered a significant equity position with the company. 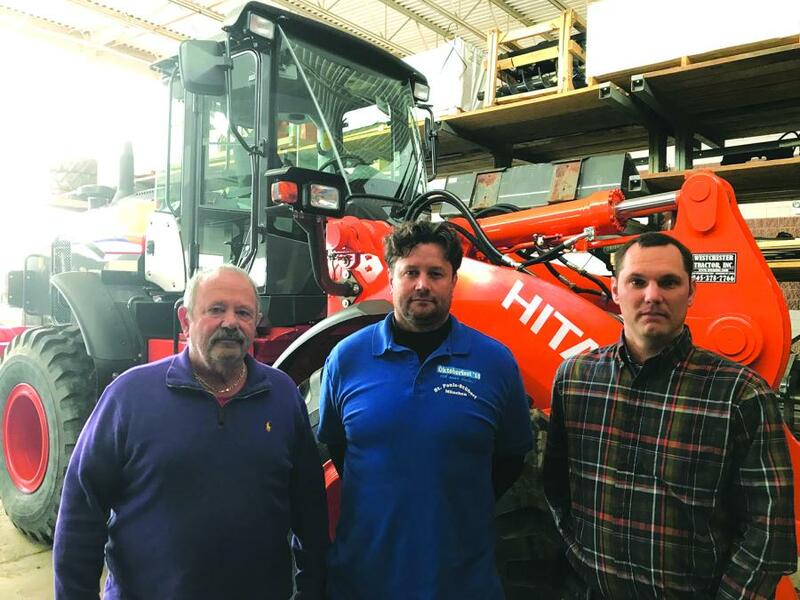 Prusinowski currently serves as the Vice President of Administration and Technology and also oversees the sales department and is starting to maintain the necessary relationships with the manufacturers represented by Westchester Tractor. "From the outside looking in, not much has changed at Westchester Tractor," Prusinowski said. "John is still president, he still has the corner office, he is still working with our key accounts. He is, however, taking a few more days off than he has in the past. "What is very important to both Matt and I going forward is that customers are aware that we are firmly committed to maintaining the same level of excellence that Westchester Tractor has long been known for. "Our industry is going through a period of tremendous change and our size has given us the ability to quickly adapt to change. We are not burdened with a full commitment to a single full-line manufacturer; instead we have been able to maintain the ability to select the best available categories of equipment from some of the finest manufacturers in the world, including names like Kobelco, Hitachi, Kubota, New Holland, to name a few. I am certainly very grateful that John Apple has afforded me this opportunity." Business NewsNew YorkWestchester Tractor, Inc.
Business News New York Westchester Tractor, Inc.